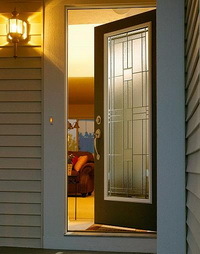 Monterey offers Craftsman design elements and a bit of modern style to your home's entrance door. 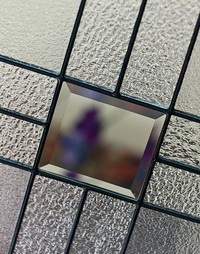 Clear bevels provide visibility, yet the translucent, textured glass offers a high privacy level. Patina and satin nickel give you finish options to complement your door hardware.